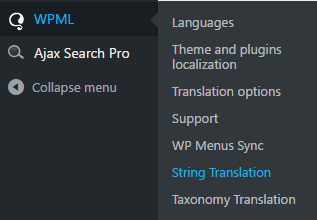 WPML does not support string translations by default, first you will have to install the WPML string translations plugin. Please note that the number after each text in the Name column represents the search instance. This way different search instances with the same text can have different translations.